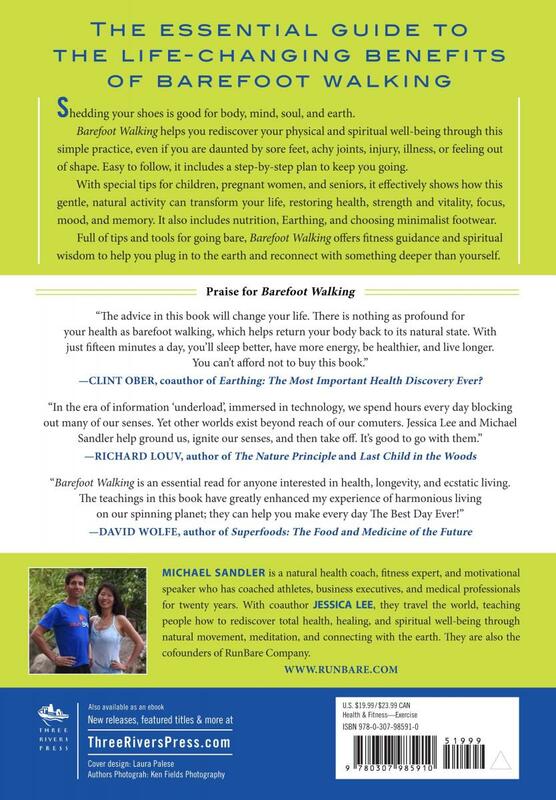 "Barefoot Walking is an essential read for all those interested in health, longevity, and ecstatic living. Every angle of our pertinent and intimate connection to Mother Earth is covered at every depth of inquiry: scientific, common sense, spiritual, emotional, etc. The teachings in this book have greatly enhanced my experience of harmonious living on our spinning planet; they can help you make every day The Best Day Ever!" "The advice in this book will change your life. There is nothing you can do for your health as profound as barefoot walking, which helps return your body back to its natural state, a state of perfect health. At its core all disease is inflammation, which drains away when you shed your shoes and reconnect with the earth. With just 15 minutes of barefoot walking a day you’ll sleep better, have better energy, be healthier, and live longer. You can’t afford not to buy this book." Co-author of Earthing: The Most Important Health Discover Ever? "In the age of information underload, immersed in technology, we watch our real bandwidth shrink. We spend hours every day blocking out many of our senses. This allows us to focus on the screen, get our work done, meet the quota, take the test. Meanwhile, other worlds exist beyond reach of our computers. Whether you walk or run, with shoes or without, Jessica Lee and Michael Sandler help ground us, ignite our senses, and then take off. It's good to go with them." "In this wonderful guide, the Sandlers help us with the challenges we may encounter when we try to enjoy barefoot walking––from changes in posture and physiological differences, to how we regard ourselves in the world. It offers a very thorough understanding of how barefoot walking can become an essential aspect of our natural health and wellbeing. It also communicates Michael and Jessica’s spirit and joy in simply being alive. Based on personal experience, it presents walking, not simply as a perfunctory form of transportation, but as a symbol of life itself."